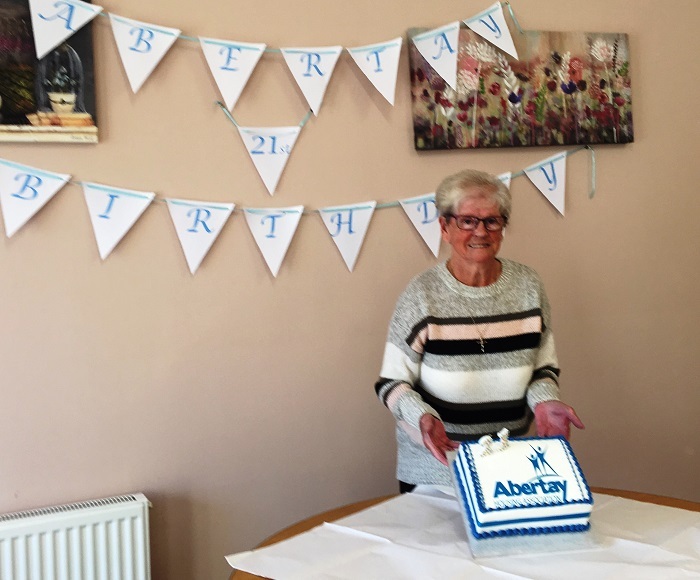 2018 has been a big year for Abertay Housing Association as we celebrated our 21st Anniversary. A number of events have taken place over the past few months including a prize draw for a celebratory cake. As you can see the winner was delighted when she was presented with her cake.